GSC is proud to kick off the 2019 new year with an exciting seminar on Friday January 11th, 2019 made possible by the GSC Skater Development Fund. We have put together an exceptional line-up of presenters both on ice and off the ice. Joey Russell has been a Figure Skater for 20 years. Originally from Newfoundland and Labrador, he has lived and trained all over Canada. Some career highlights include: Junior Canadian Champion, Senior Canadian Bronze Medalist, and Canadian National and World Championship Team Member. After competitive skating, Joey toured as a show skater for 3 years. Now, a skating choreographer in Toronto, he works with all levels of skaters and travels across North America conducting seminars, choreographing, and performing touch-ups for athletes. NCCP certified, he is passionate in packaging skaters and choreographing programs which are unique and competitive. Erika Vipond is a Certified Holistic Nutritionist and expert trained fitness trainer specializing in dynamic flexibility, barre and yoga. Her client list includes pro-athletes NHL's Montreal Canadiens and Olympic & 2x World Champion Meagan Duhamel. Certified as a Master Essentrics Trainer, Registered Yoga Teacher, Personal Trainer and Progressing Ballet Technique Trainer; she offers teacher training workshops, fitness retreats, personal training and corporate wellness programs. She can also be found as a trainer on Essentrics TV. With a Bachelor's Degree and an extensive background in dance, she studied with teachers from Canada's Royal Winnipeg Ballet to develop her skills as an accomplished dancer and award winning choreographer. Erika's choreography work has been featured on the runways in the fashion world, contributing as a choreographer and as a Brand Ambassador for the activewear and wellness company Lolë Women. Erika also studied with and apprenticed under the guidance of Essentrics creator, Miranda Esmonde-White. With Essentrics, she was the former Manager of teacher training and a part of business and curriculum development. 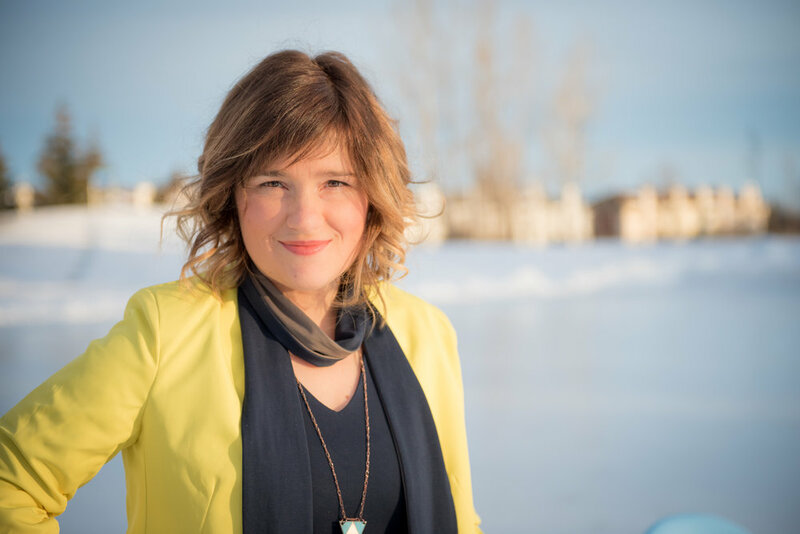 Erika is currently based out of Montreal and developing entrepreneurial projects including online fitness and holistic nutrition, wellness programs. Her aim is to promote holistic fitness, body positivity and the growth of bodywork in the field of integrative medicine. Rebekah Dixon was a Figure Skater who struggled with perfectionism, competition nerves and confidence. This held her back from achieving her greatest goals as an athlete. She was inspired to use her training and experience to create the Mind-Body Performance Mental Training Program, a one of a kind program focused on strengthening the Figure Skater’s mindset. Through this program she teaches skaters how to strengthen their mindset by empowering them with the tools to perform their best when it counts! Since working with skaters from all over the world including Canada, USA, Italy, Sweden, Mexico and Australia the program has evolved and she now offers group training, workshops and an elite program. Rebekah has worked with beginner to Olympic level athletes and had the opportunity to train Meagan Duhamel last season to prepare her for the Olympics. This seminar will include on and off-ice activities throughout the morning/afternoon. In addition to skating equipment, skaters should bring exercise clothing; healthy snacks and a water bottle. GSC Skaters (and Coaches) registered for the 2018-2019 Fall-Winter School receive this seminar FREE of charge as it is sponsored by the GSC Skater Development Fund. This is seminar is OPEN to all OUT OF CLUB SKATERS AND COACHES!! Coaches - FREE 5 or more participants attending.